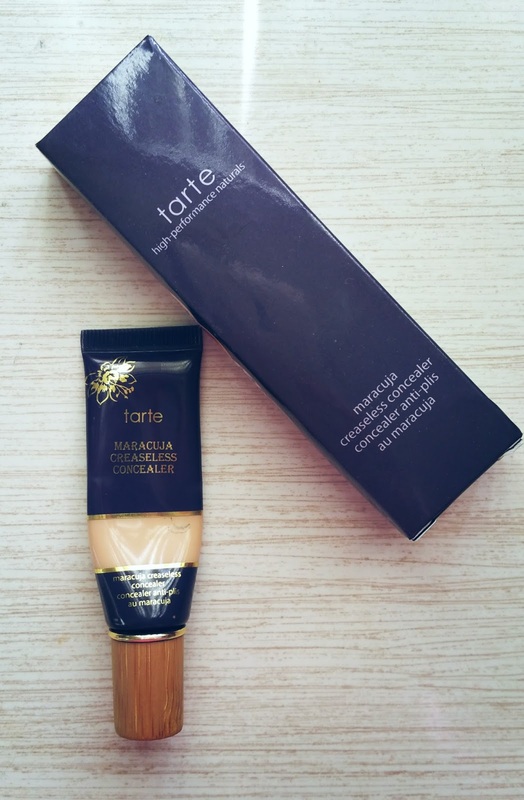 Tarte is commonly talked about and often raved, so I took a plunge when I bought this concealer. If you have been with me since the beginning, you may have realized my high end product stack is pretty low, I’m a drugstore makeup kind of gal. *NO SHAME* I’m always worrying about my tiny little creases under my eyes and how some concealers crease, emphasizing my baby lines. I thought this was probably my best bet! I was very excited about this product, not only for what it claimed but because I don’t normally buy higher end makeup. This concealer just was not for me, I tried applying it with a beauty blender, my finger, and even a brush, and nothing did the job. It creased within 3 hours after application and as I mentioned before it did not blend well with my concealer. I will not be repurchasing this product due to the fact it did not work out for me. I have tried other tarte products, and of course others have worked better than others, but this was not for me. Have you tried this concealer? Has it worked for you? What’s your favorite concealer and would recommend? Hope you all are enjoying these product reviews. Please let me know if you’d like me to include another section.